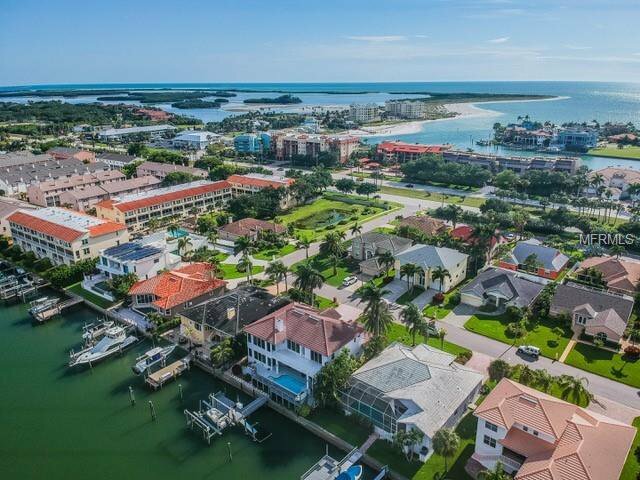 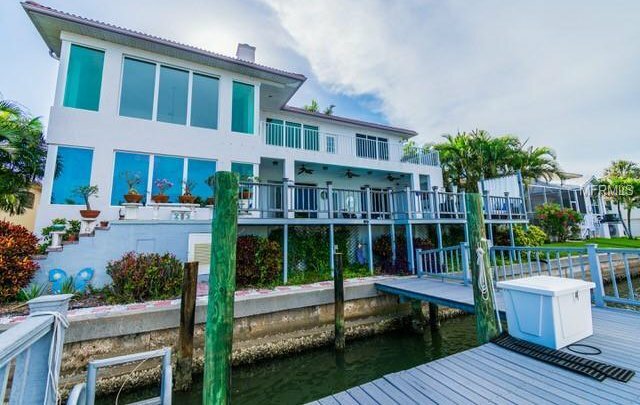 Welcome to this island; your contemporary, waterfront oasis. 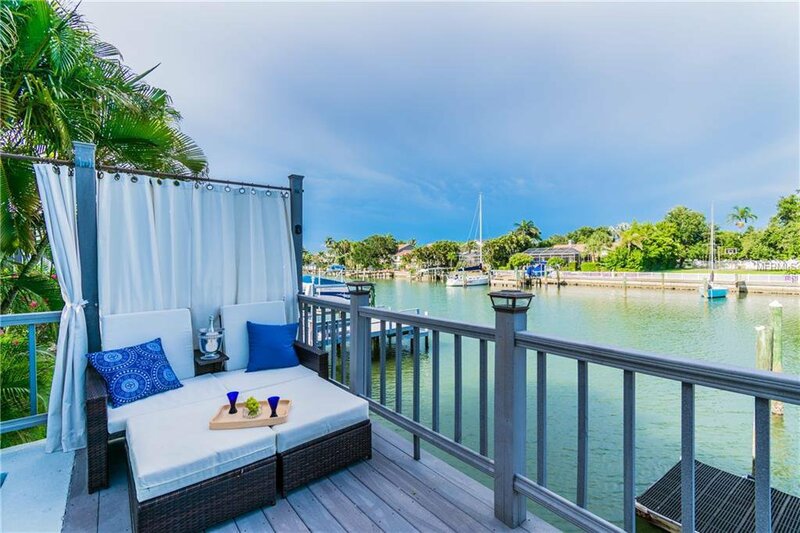 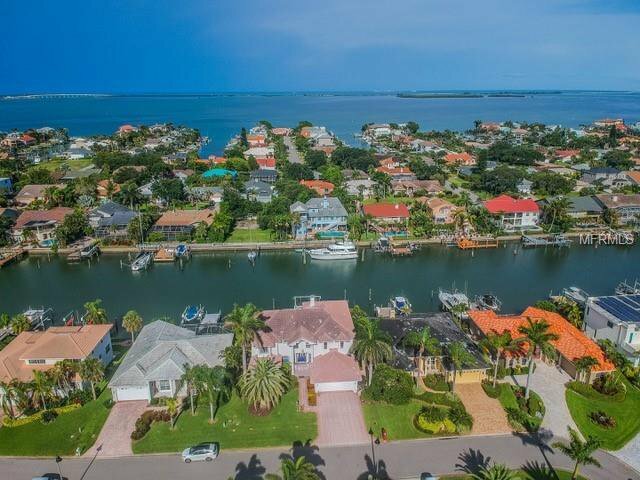 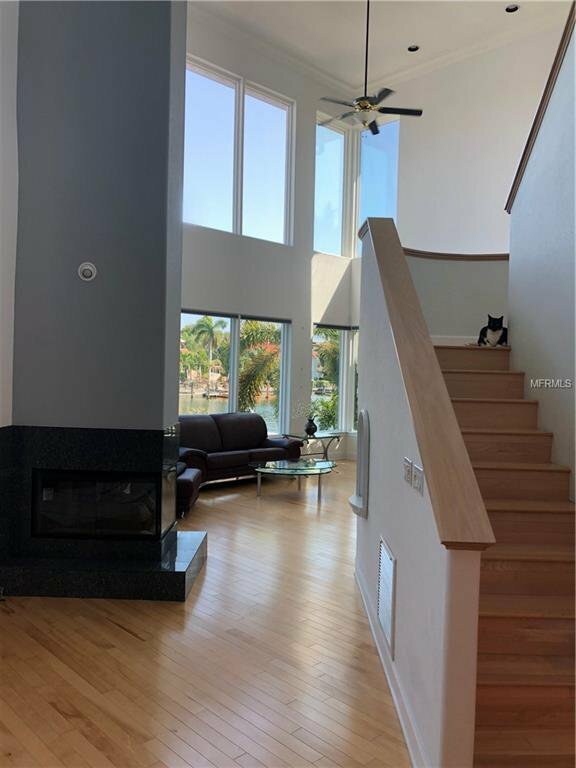 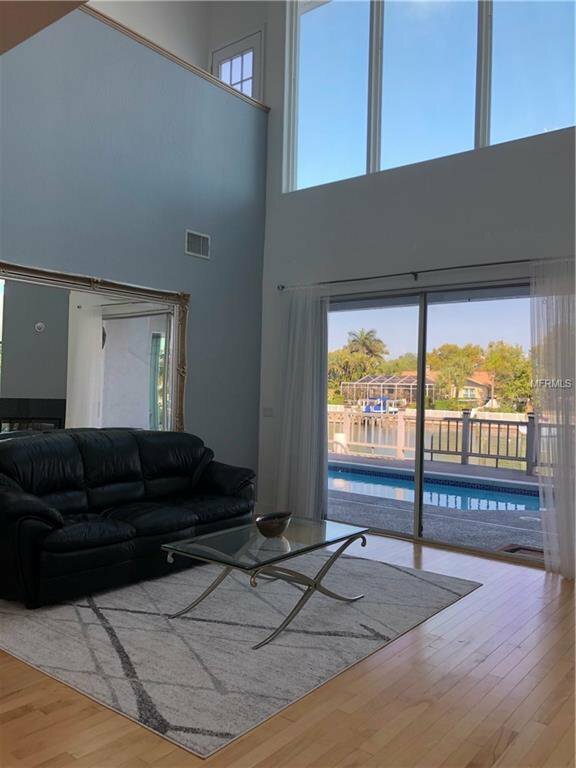 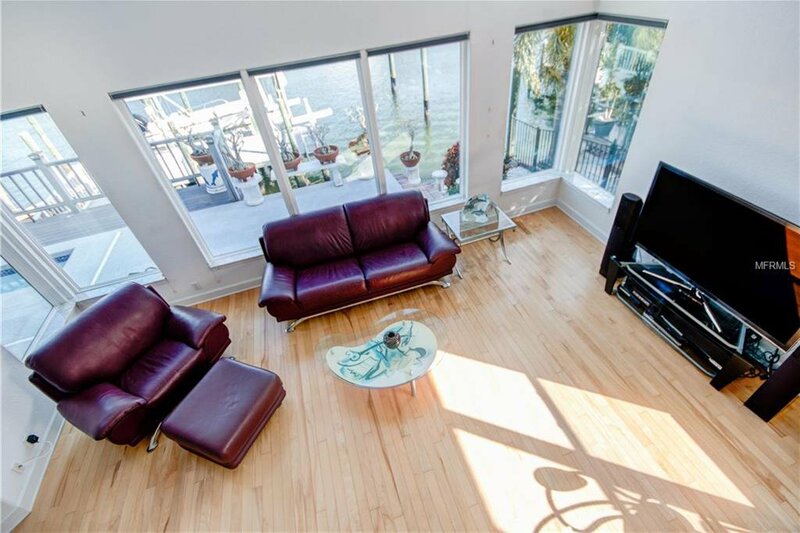 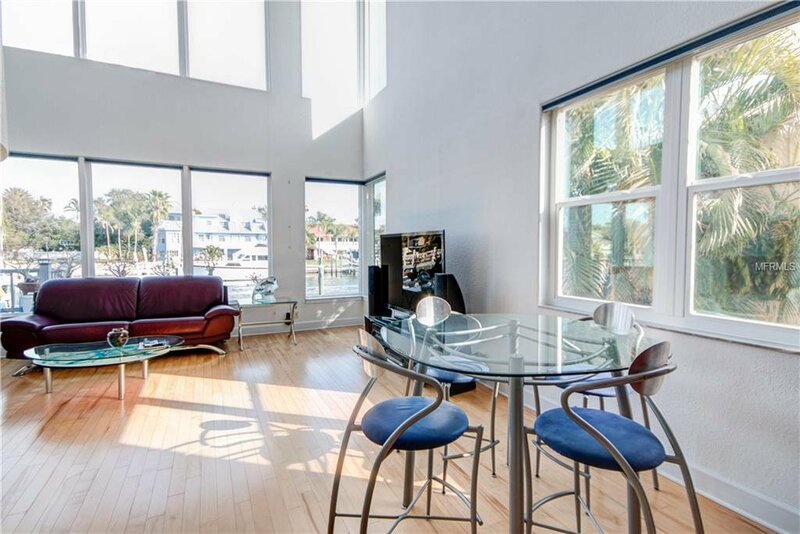 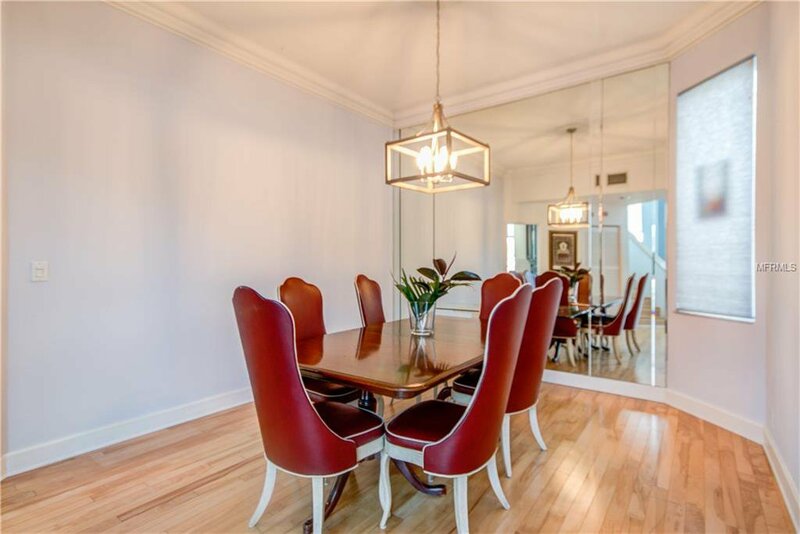 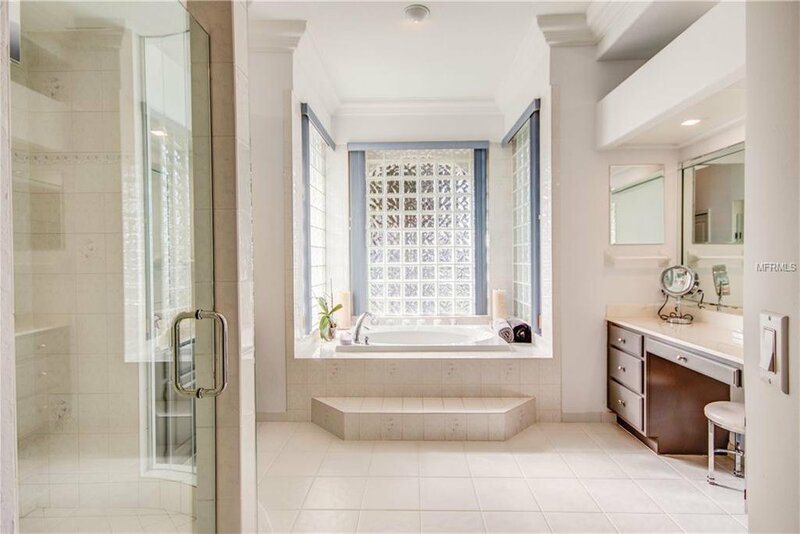 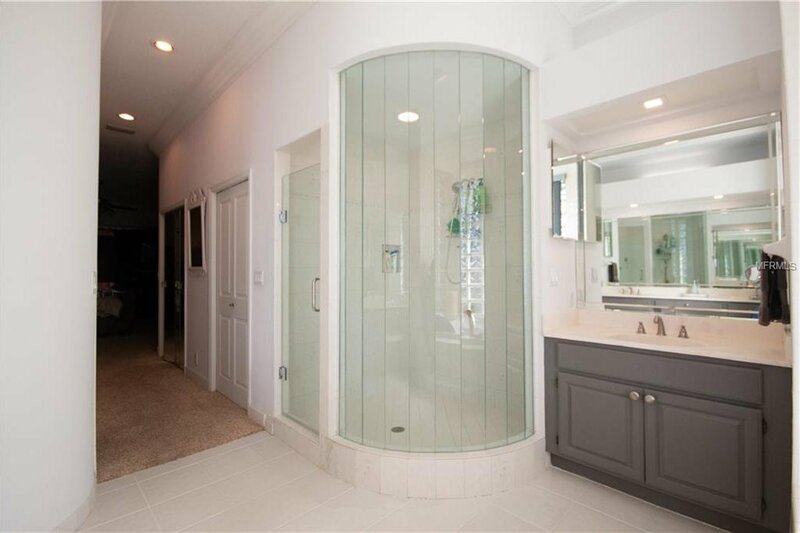 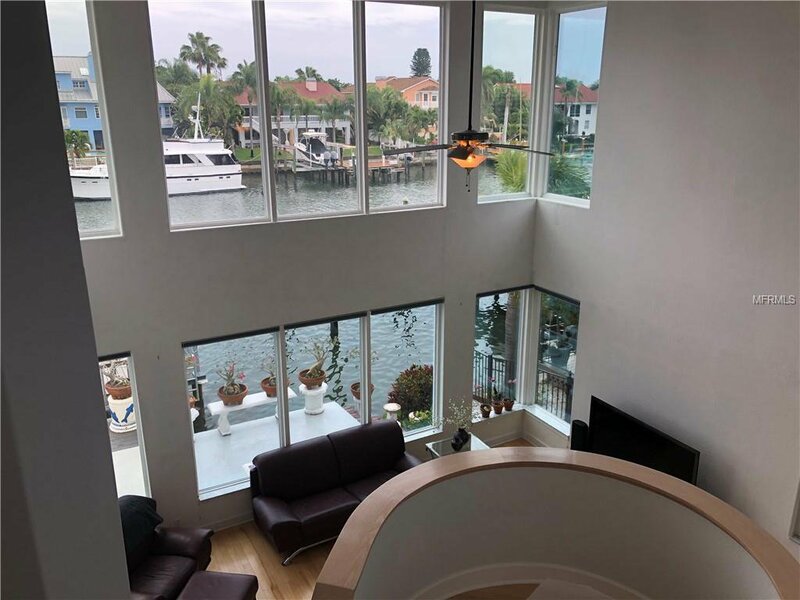 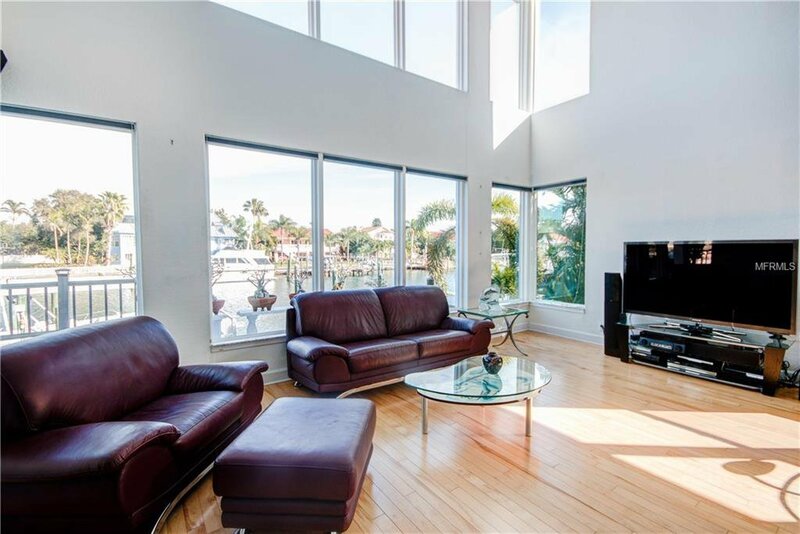 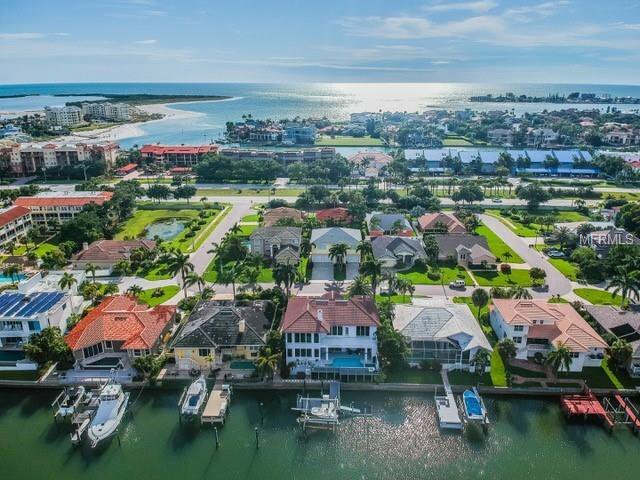 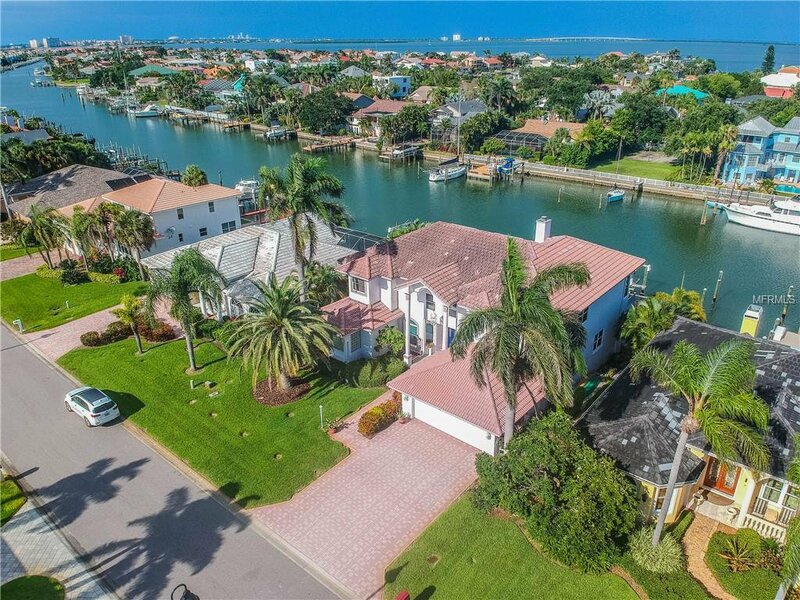 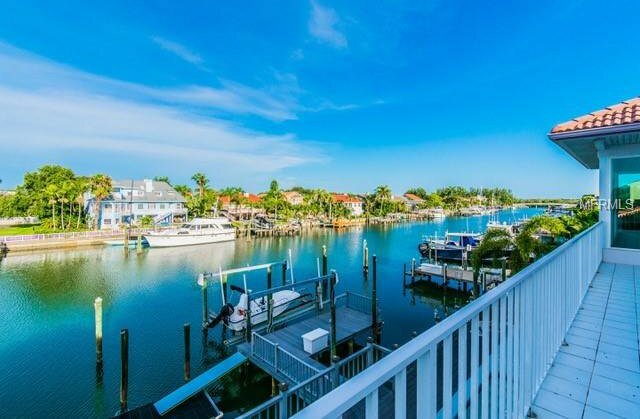 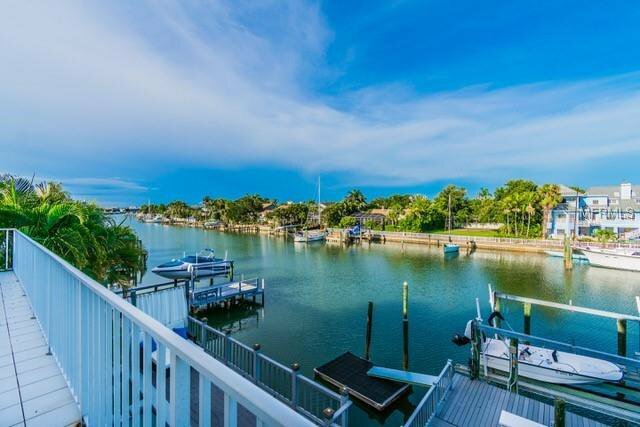 As you enter, you’ll be summoned into the openness and fresh brightness of this property offering breathtaking, deep water, wide canal views from most of the rooms. 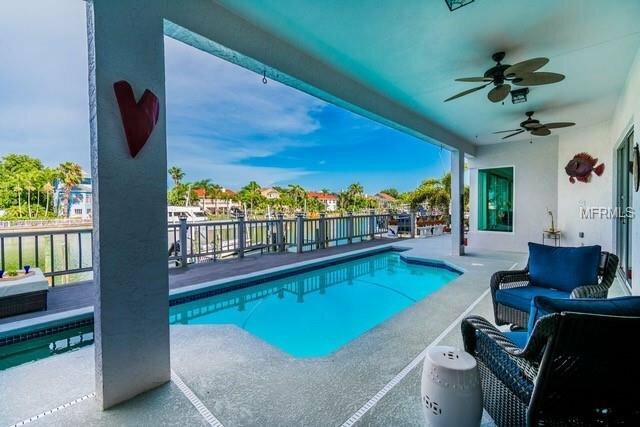 Enjoy and relax at your pool patio while watching dolphins swim by. 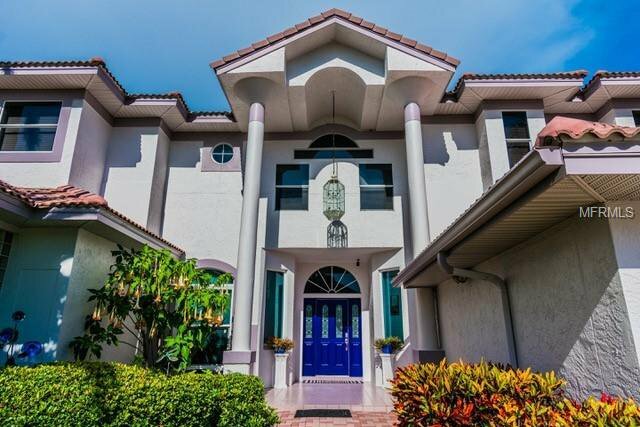 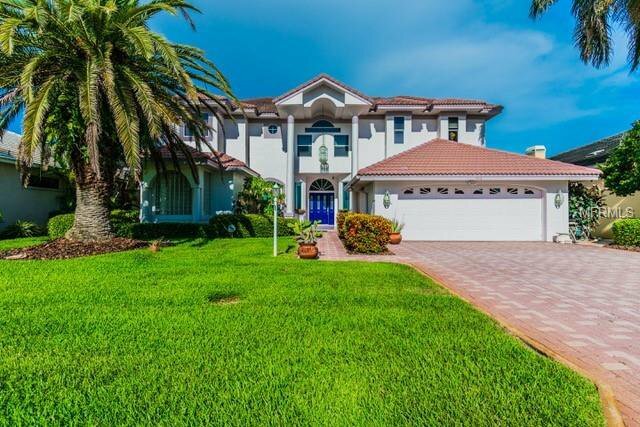 Lavish landscaping, solid custom built structure, an oversized garage, soaring ceilings, and the spacious feel from this beauty will immediately capture your heart. 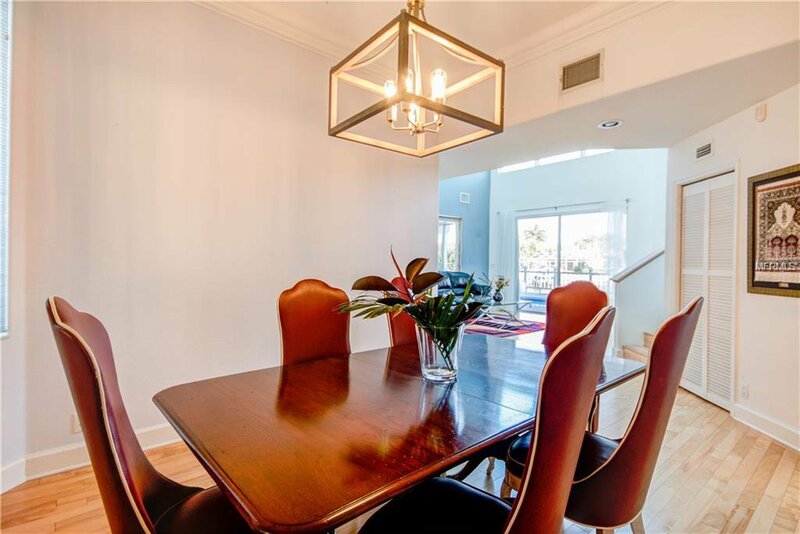 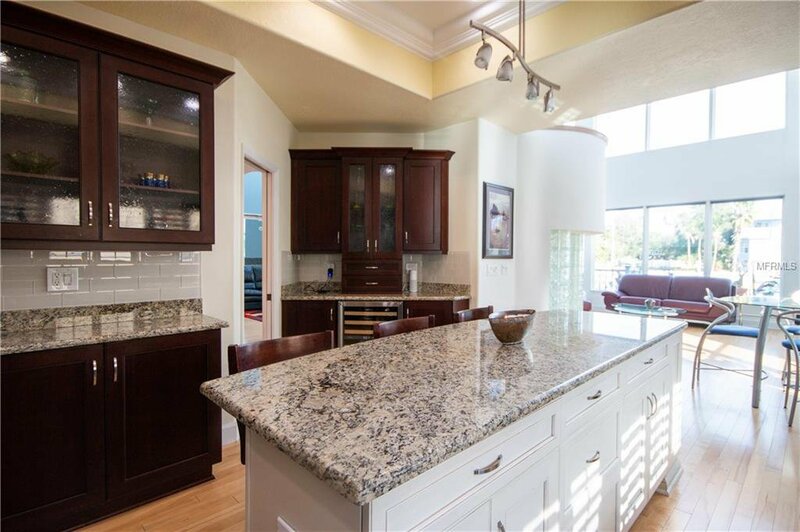 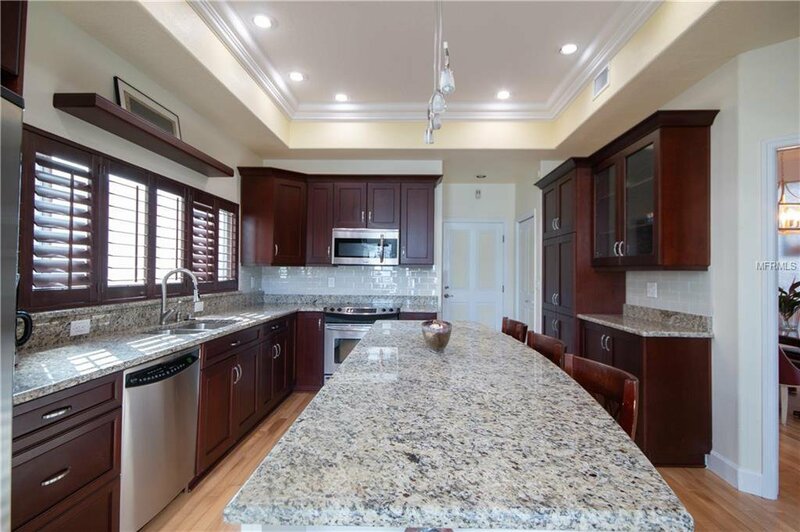 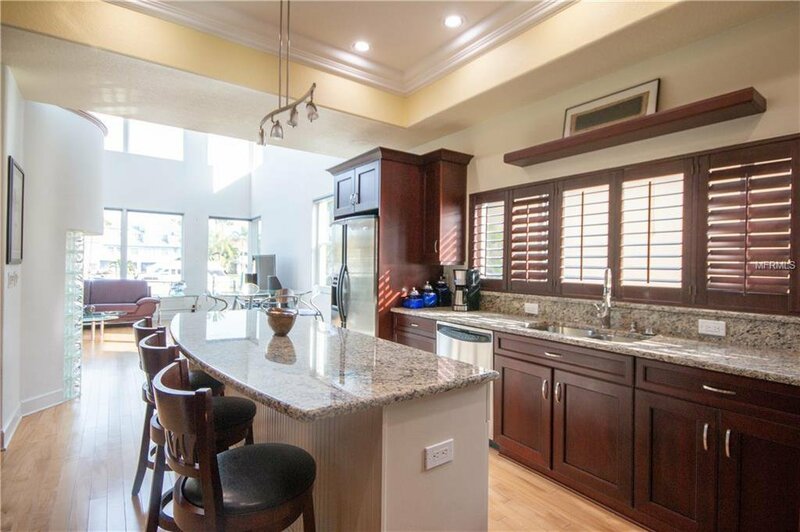 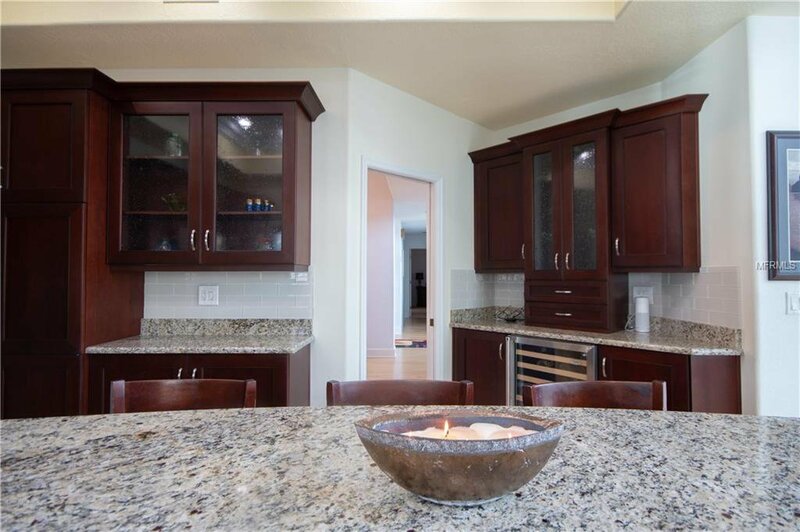 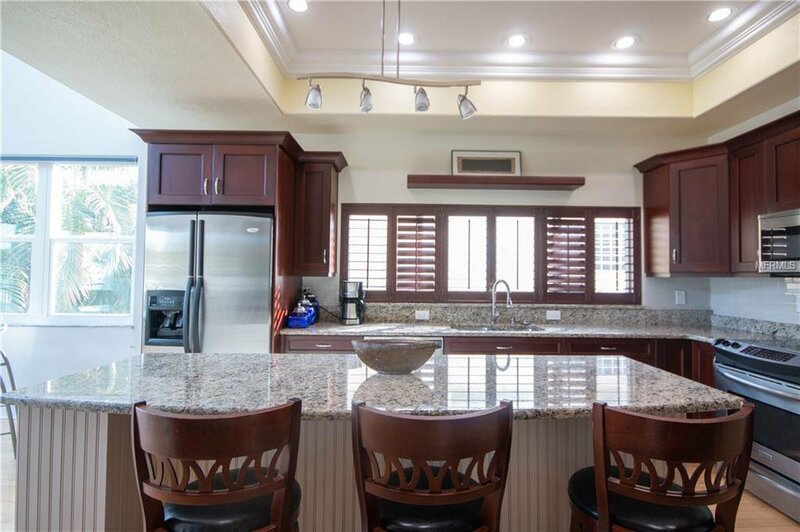 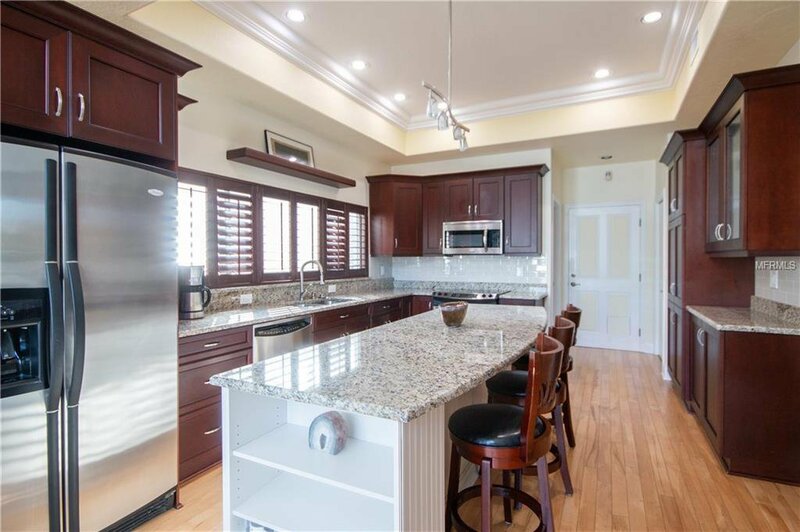 Updated open kitchen not only features solid wood dark cherry cabinets tastefully combined with a designer lighter tone island, but also water views. 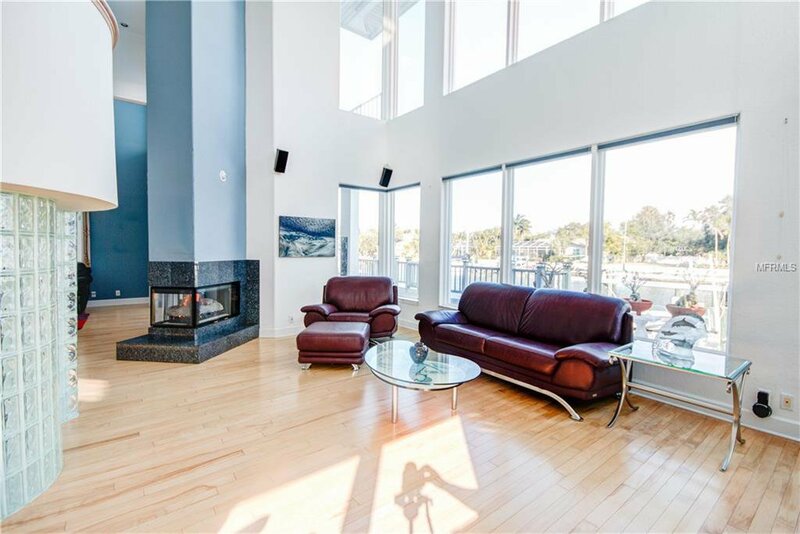 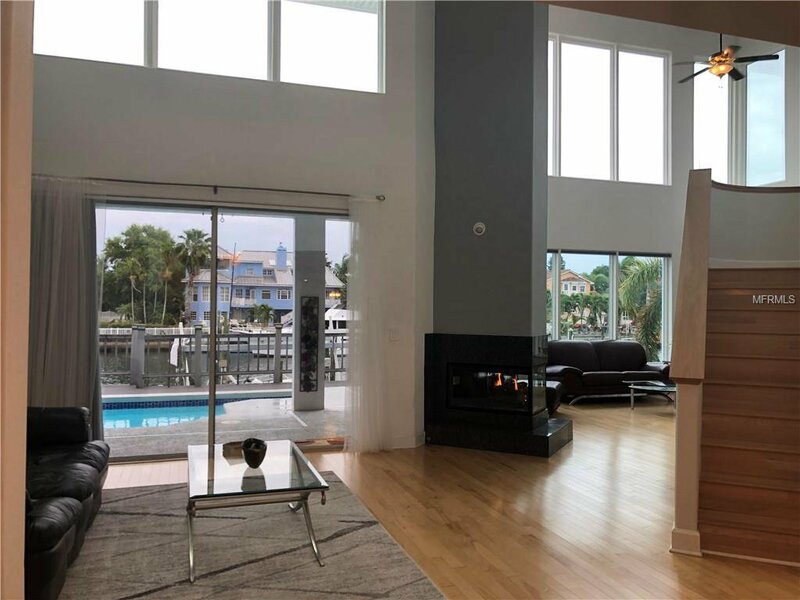 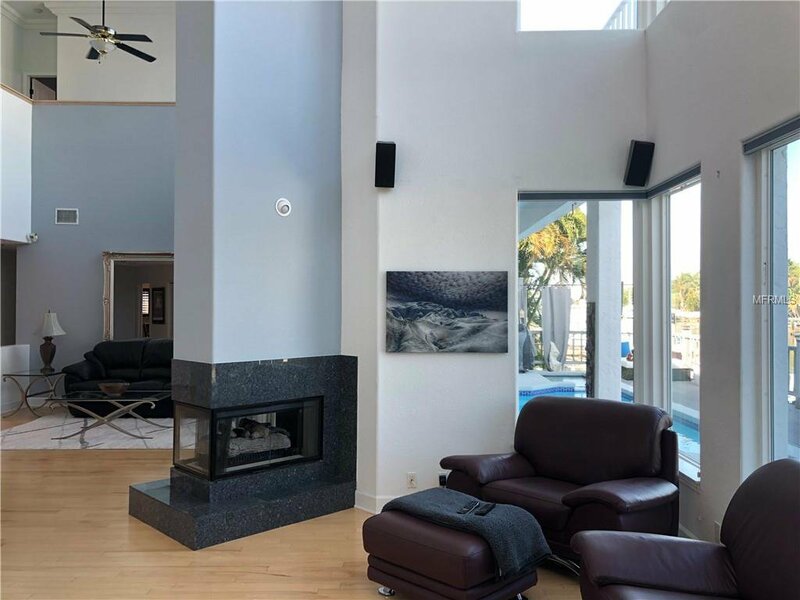 Oversized living and entertainment room with a two-sided fireplace are all on the main floor. 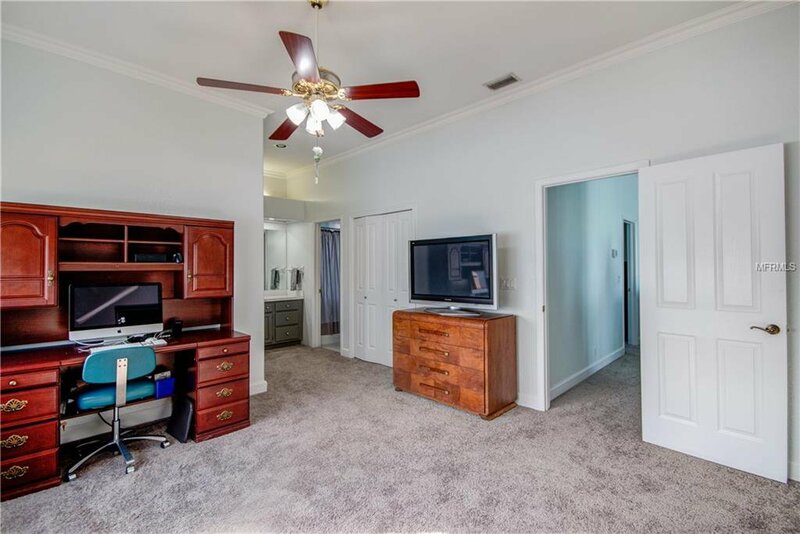 Also on the main floor is your first bedroom that would fit a great executive office. 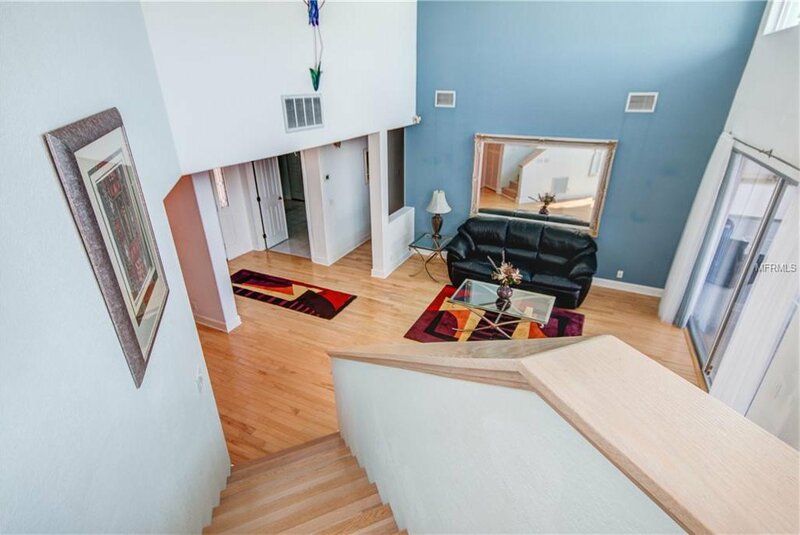 There is a guest/pool bathroom & a spacious master suite that walks out onto the downstairs patio. 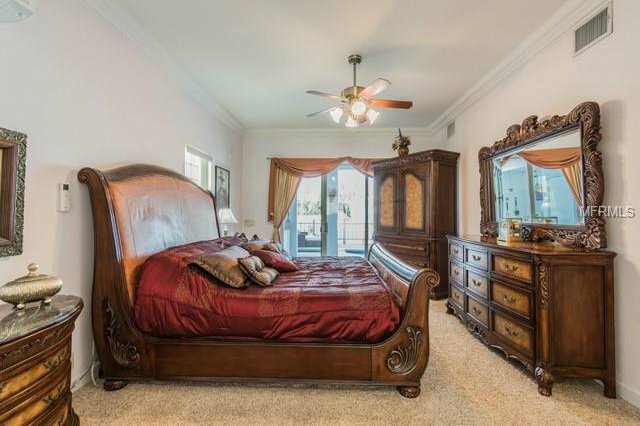 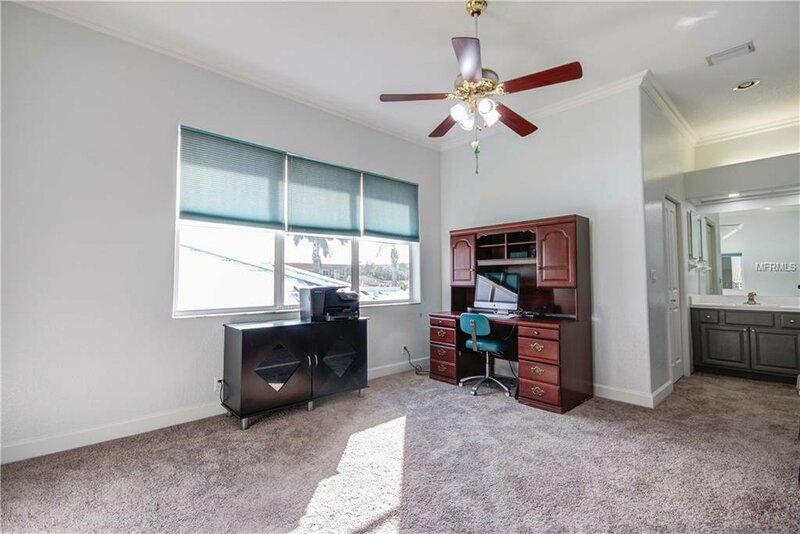 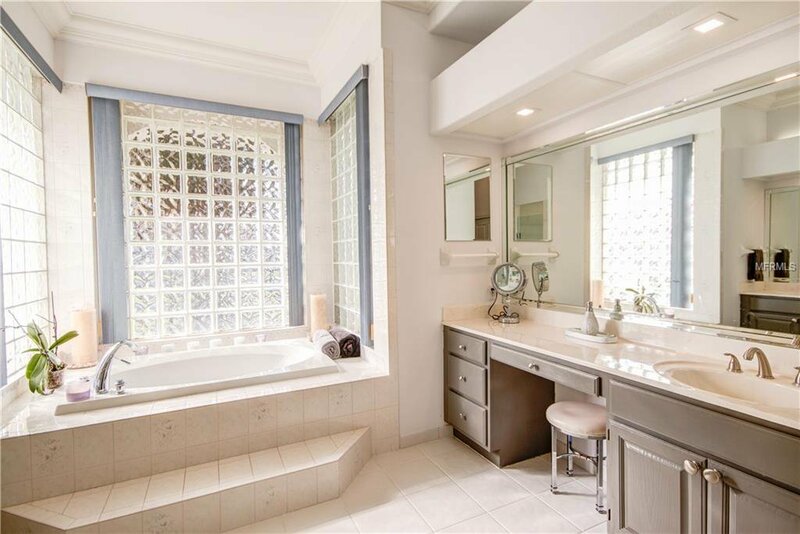 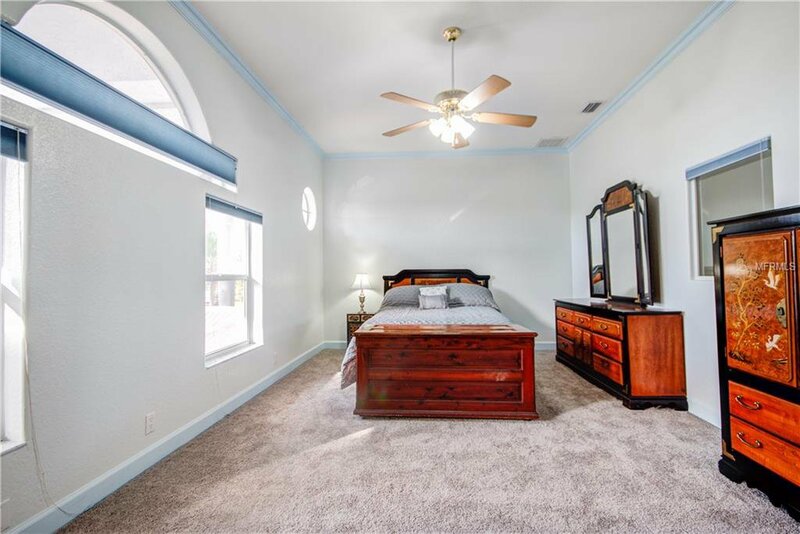 As you walk upstairs, three other bedrooms and another full master suite, complete the interior of this house. 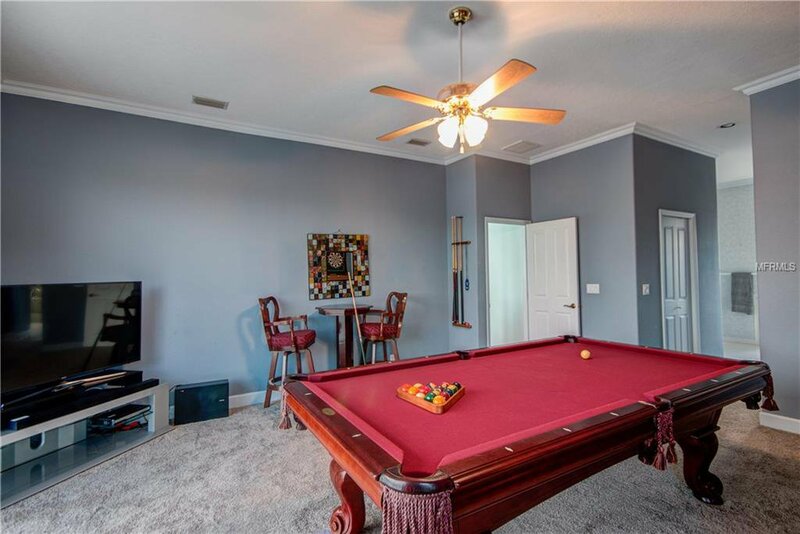 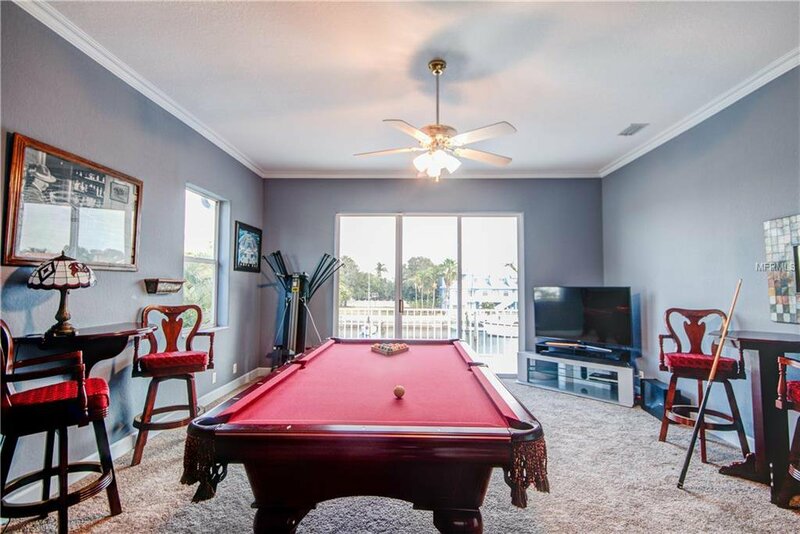 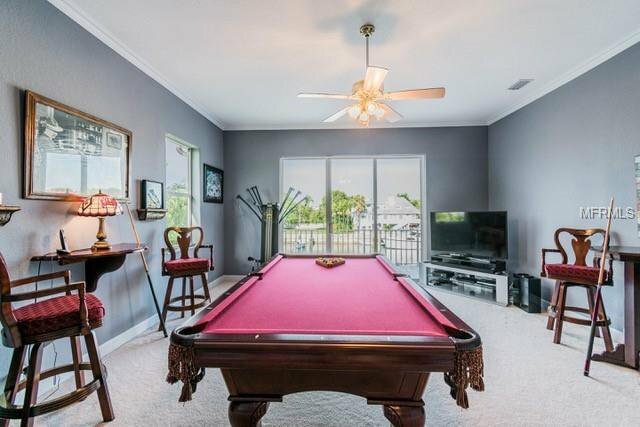 This property is perfect for entertainment inside and out. 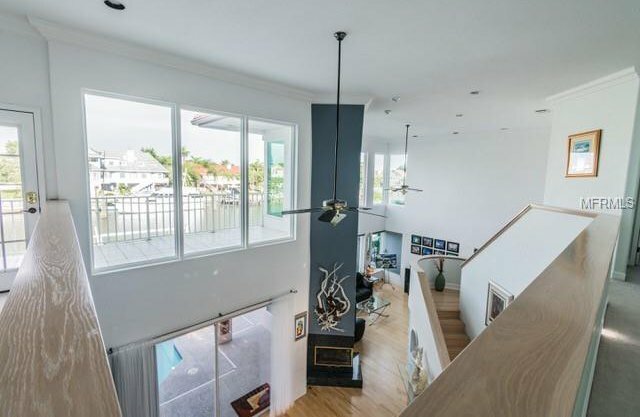 Elevator can be easily installed. 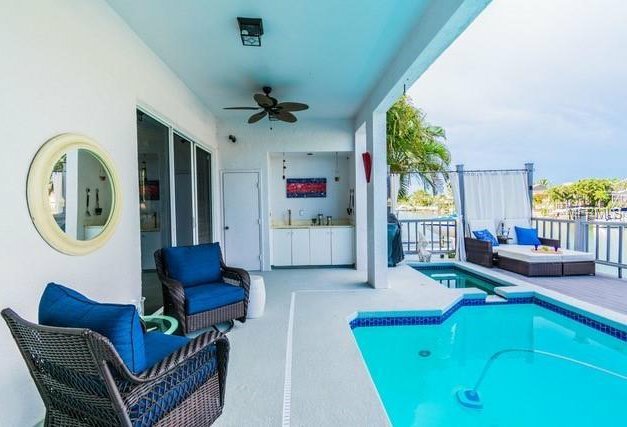 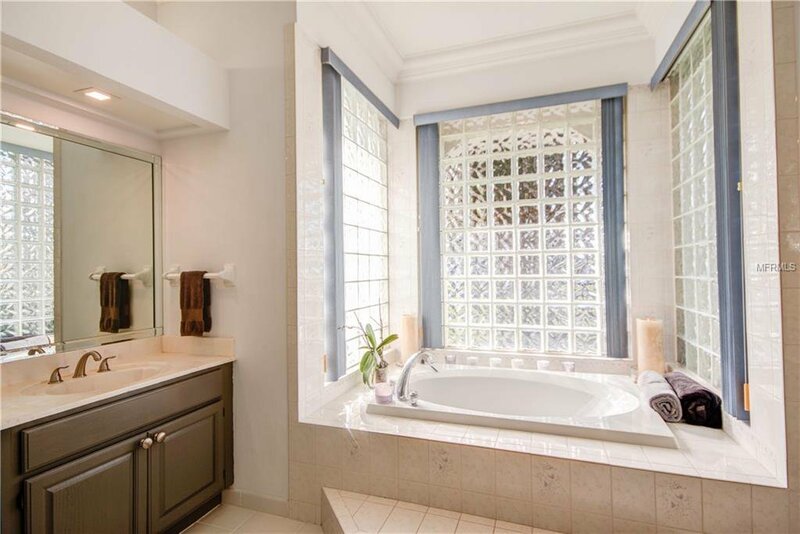 Heated pool & attached spa are surrounded by your private patio with outdoor sink. 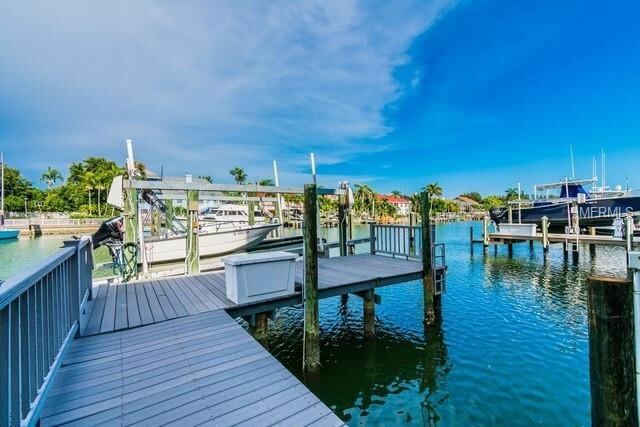 A few steps down and you're on the oversized dock. 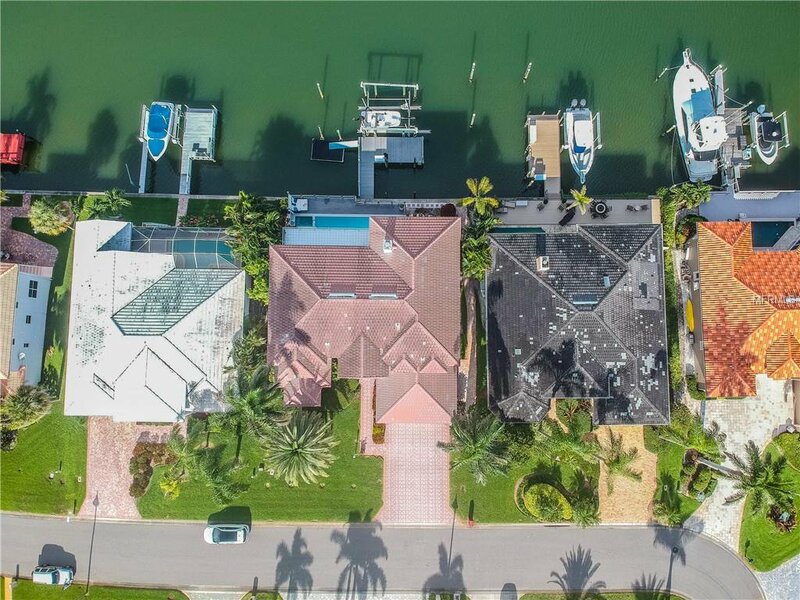 25,000 lbs boat lift with 4 motors to choose your boat direction is only one of the couple of places you can dock. 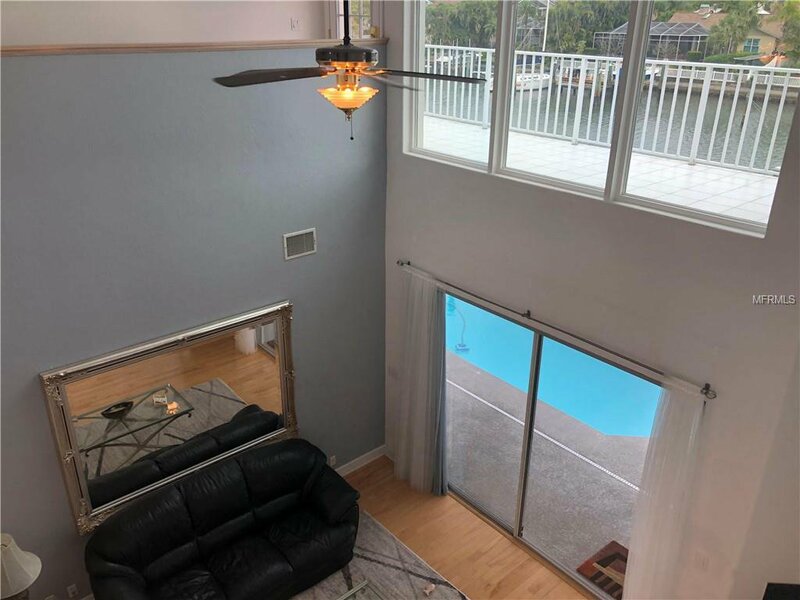 Oversized slip and a floating dock are also ready to be used. 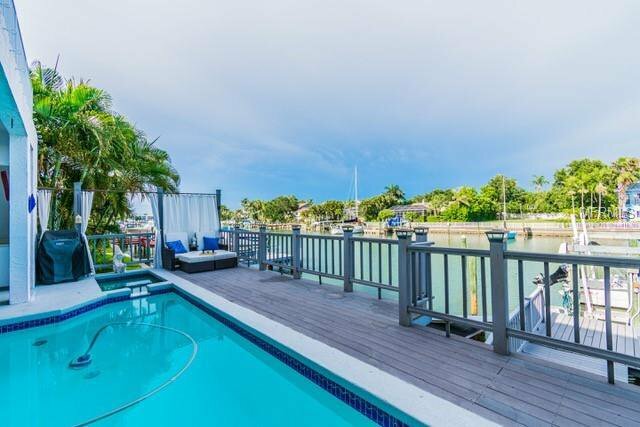 This boater’s paradise is located in the heart of Tierra Verde Island.